Next in line was David Jr who seems to have been a bit of a rebel and his story ultimately turned to tragedy. 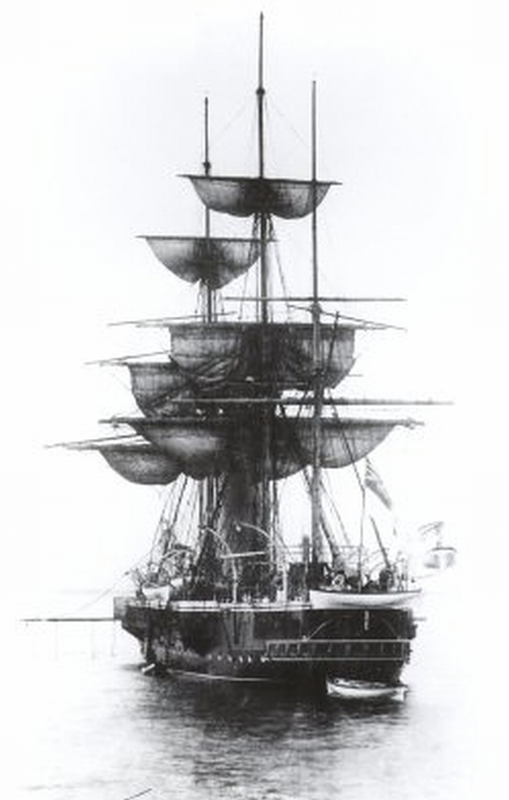 Having gone to Cheltenham College with Donald at the age of 10, he became a Royal Navy cadet at HMS Britannia in 1879 aged only 13, and according to his naval record, served as a midshipman in the Far East from 1881–1883 (HMS Champion, a corvette of 2230 tons) and the Mediterranean (a couple of ships whose names I’ve been unable to identify but might possibly be a shortened version of HMS Alexandra (the flagship) and additional for ‘Carysfort (2E com’d)’? ) 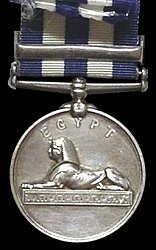 where he was awarded the ‘Soudan Medal with Suakin clasp for services at Suakin 1884–1885’. This was a land expedition which involved significant loss of life, and he must have been seconded to the Naval Brigade. In October 1884 he seems to have been ill (to be resurveyed in six weeks by M.D.G.) and was posted to HMS Duke of Wellington in Portsmouth, but was fit again in January 1885, when he was posted to the pre-dreadnought HMS Neptune in the Channel Fleet. He left her in June, and during that summer his father and older sister Jane died of tuberculosis—this would have been when the photograph at the top of the chapter was taken. He went to HMS Excellent (the Royal Navy’s gunnery school on Whale Island in Portsmouth harbour) in September to study for his lieutenant’s exams. 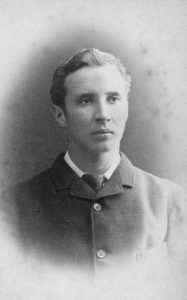 At some point between then and March 1886 he got hauled up for ‘damaging the panels of the door of his sleeping apartment at Greenwich College’, as a result of which he missed some of his lieutenant’s exams because he had to attend his court-martial hearing in Portsmouth. On 7 April 1886 his court-martial hearing was completed and he was reprimanded and forfeited three month’s seniority. A newspaper report of the hearing is revealing. On 16 April 1886 he passed his college exams third class and on 21 May 1886 he passed his torpedo exams. He was promoted to acting sub-lieutenant. But in August he was hauled up for ‘having broken out of his ship by swimming on shore when his leave was stopped.’ Family legend says that he escaped by diving from the top of the funnel, missing the guardrail by inches; according to Bunny, he wasn’t brave so much as fearless—and a strong swimmer! I’ve been unable to find out any more details; why his leave was stopped, and which ship he’d escaped from, though it’s likely it was Whale Island. He was recaptured, and offered the opportunity to resign his commission rather than be court-martialled yet again—which he did on 21 August 1886. 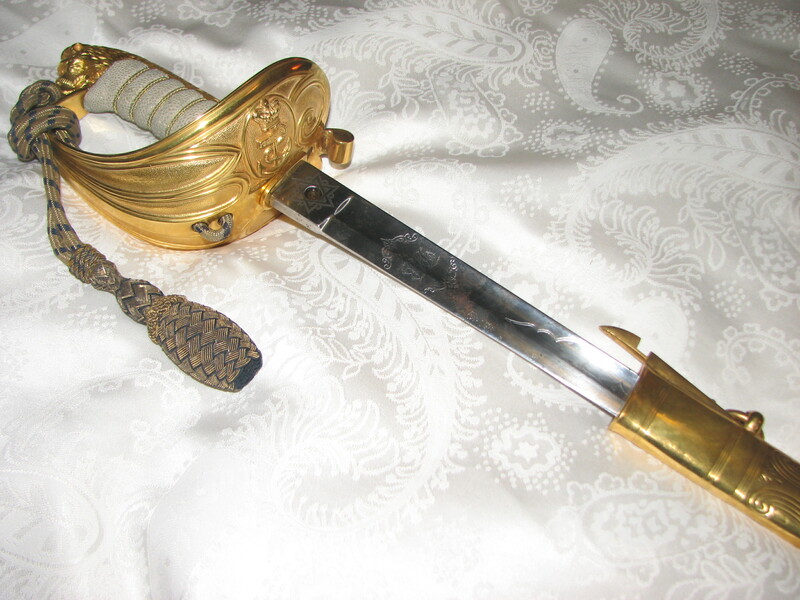 His naval sword, engraved D.B., was used, and is currently owned, by David (b.1950). He was 20 years old, and his father and older sister had died the previous year, and this may go some way to explaining his behaviour, though the newspaper report and the story about diving from the ship’s funnel seem to indicate that he wasn’t very good at imagining the consequences of risk. He had also come into around £3000 (probably around £250,000 at today’s prices) from the deaths in his family. This may well have been on the recommendation of his younger brother Charlie, who’d gone to Edmonton immediately after the family deaths. Local newspaper reports say that he also went to British Columbia in 1887; was he trying to help find a good place for David to settle down? 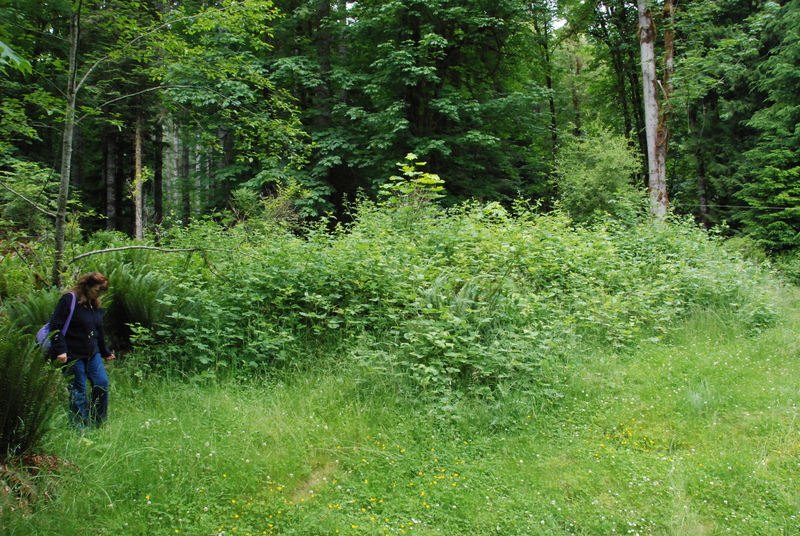 The system was that you could put your name down for a vacant plot of land, and if you’d done sufficient improvements to it within a year, you could buy it for $1 per acre. 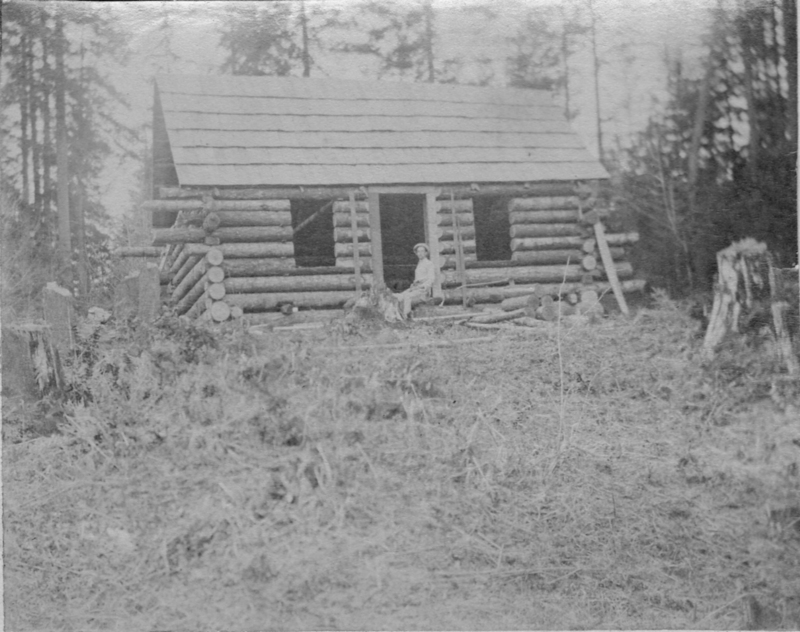 David built a log cabin, and sent a photograph of it home. What else he did in the way of improvements we don’t know, but they were sufficient to convince the authorities and in May 1890 he became the proud owner of his 42 acre plot, and was listed on the voting list as a farmer. We have been to see the site, which is now a government campsite, and it’s hard to see what sort of farming he envisaged; it’s a very beautiful lakeside situation with a great view across the lake, but it’s entirely covered in cedar trees with ferns and other vegetation forming a thick undergrowth. Logging the trees would yield some income in the first year, but thereafter the soil is too thin and poor to support anything more than a few sheep. As is evident from the article quoted above, there was already a nascent tourist industry in the area, but this was mostly in the form of day trips owing to the short holidays most people had, and in any case the only access to the plot was by boat along the lake. If Charlie had been here in 1887 and advised him to take the plunge, it was frankly poor advice. At any rate, less than a year later, in April 1891, he had moved to Ainsworth on the shores of Kootenay Lake in the Rockies on the border with the United States. David had decided to join the mining rush. 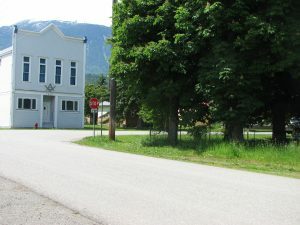 Mineral-rich ore had been discovered in the Kootenays a few years before, and indeed Charlie had already invested in the Lucky Jim mine in the area, and David was reported in ‘The Miner’ as having bought land together with John (Jack) Watson to build a barn and livery and feed stable. He hadn’t sold his homestead on Vancouver Island – indeed, he never sold it, so one assumes the capital for this came from his inheritance. By September, when the first issue of the Hot Springs News came out, they were advertising pack and saddle horses for hire, as well as acting as agents for the local sawmill. David clearly wasn’t involved in the day-to-day running of the business as he went home to Scotland in the winter, arriving back in New York on 11 Feb 1892 on the SS Ethiopia. In July 1892 he and Jack were granted the agency for the local newspapers; the Miner and the Hot Springs News. 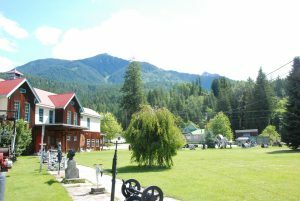 But by then the two of them were setting up a staging post called the Watson Hotel on the newly-opened trail from Kaslo to New Denver between Bear and Fish Lakes. The road is still in use and is wild and desolate, the stretch between the two lakes being the obvious place to set up a rest house, being flat and with a good water supply. Nothing remains today; the area is unoccupied. 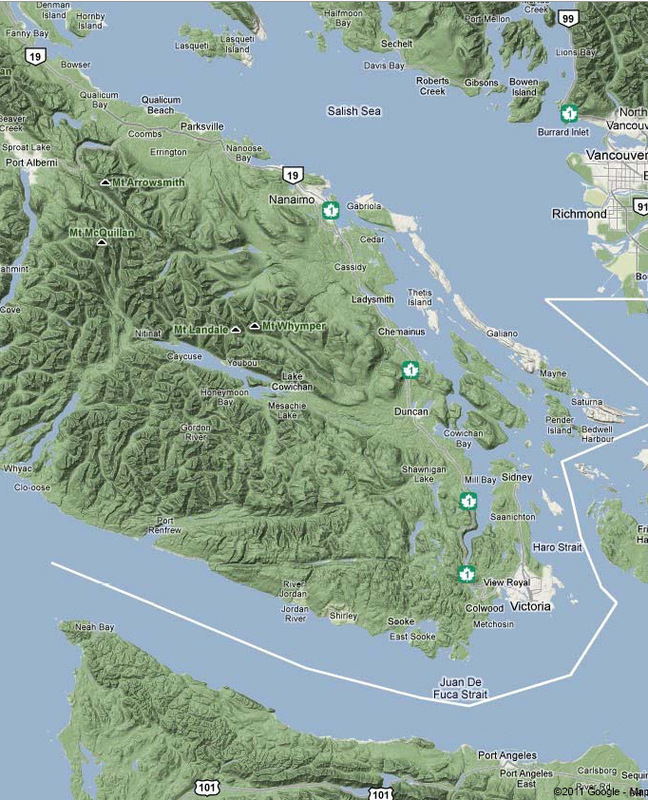 But about the same time, he was involved with a much larger project – the building of the SS City of Ainsworth, which was launched that May to service the route from the railhead at Nelson to Kaslo. The City of Ainsworth was a relatively small (84ft) sternwheeler, and her launch didn’t go smoothly – she got stuck partway into the water and had to be pulled down in a hurry by the SS Galena who happened to be nearby, before she sank! On 1 July, the two-day Dominion day celebrations as reported in The Miner sound a complete hoot – 21 dynamite cartridges were set off to salute the Queen – right next to a store of high explosive with the owner sleeping immediately above! David and Jack Watson came second in the double sculls race. In August, David had bought out his two partners in the ship, Samuel Lovatt and W Jevons, leaving him sole owner, which he remained until the following year. 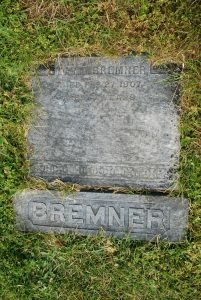 She sank at Kaslo in a storm in 1897, was refloated, and sank again the following year in the middle of the lake with the loss of 9 lives, and her wreck was dived in 1997 despite the very deep water. The video shows her upright on the bottom and in very good condition. The 11 February edition of The Miner was clearly a little short of news. David had returned from Kaslo with H W Bucke, B H Lee and F W Jarvis, and David (Dave by now) had stubbed his toe and sprained it. But the tallest story related to an anonymous correspondent who claimed, having fallen down a cliff and broken his leg, to have survived by cutting it off and cooking and eating it. The Miner of 13 January carries an advertisement for the Watson Hotel; it modestly claims ‘The town of Watson is situated between Bear and Fish Lakes, on the Kaslo-Slocan wagon road, 20 miles from Kaslo and 10 miles from New Denver is the most central point in Slocan district. 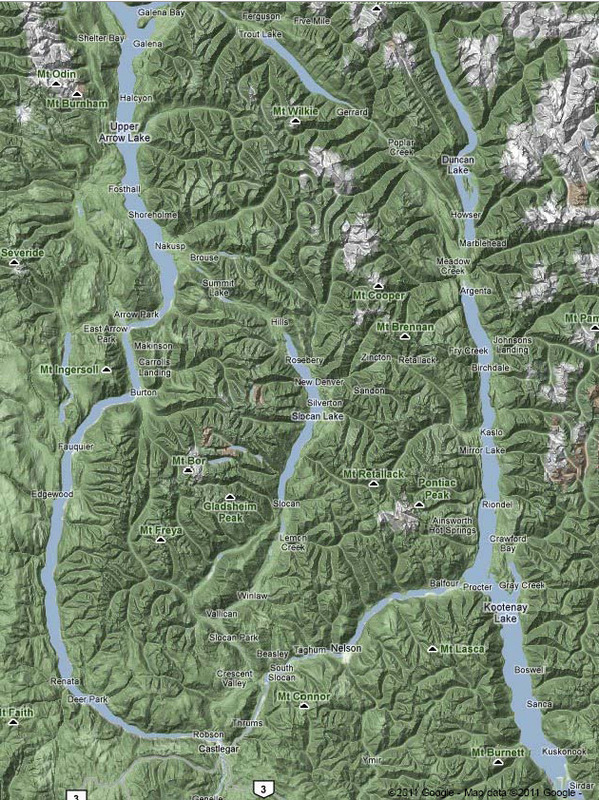 In April David bought a plot of land in the middle of Kaslo. It wasn’t an auspicious time to buy; there had been a disastrous fire in the February which wiped out most of the burgeoning town, and in June they were struck by a flood (up to 3ft deep) and hurricane-force winds, which flattened about 70 homes! But by late June Dave, having made money from provisioning the miners presumably decided to chance his arm at mining himself. 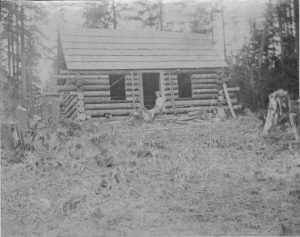 Together with H W Bucke, B H Lee and Billy Lynch he went to Hot Springs (Halcyon) on the shores of Arrow Lake, prospecting for deposits. Hot Springs is a couple of hours in a modern car on modern roads, but in those days it would have meant taking pack horses across a mountain pass that even in summer is frequently drenched in thunderstorms, and can see snow too. Their route took them past the Watson Hotel, where they presumably stayed. 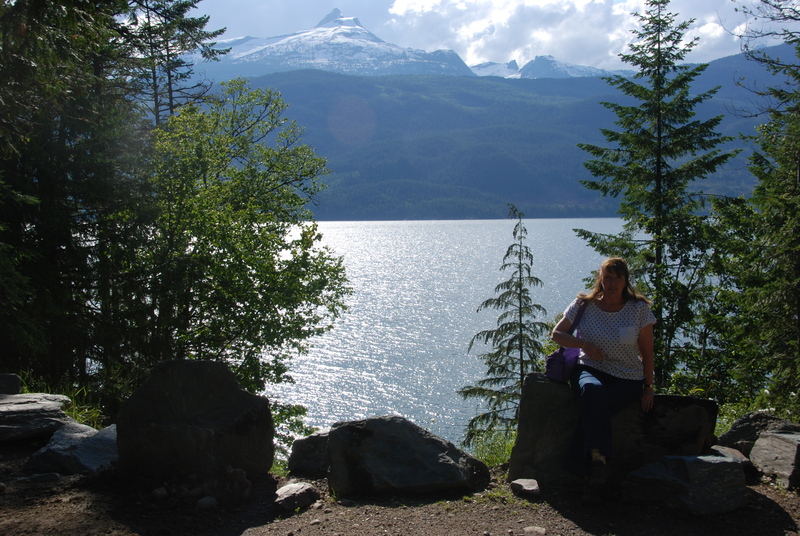 Once at Hot Springs, they crossed Arrow Lake and headed off south west into the wilderness, hoping to get to civilisation in the Okanagan district. But although there was plenty of food to start with – they shot several deer and Dave got a 400lb grizzly bear – eventually the food dried up and the party split up, returning in pairs for more stores. Before the other two returned, Dave and Lee were down to salt, flour and water so headed back to Arrow Lake. They found a deerskin and bear bones left over from their earlier successes and boiled them for soup, and would have eaten Dave’s dog if it had not wandered off! Things went from bad to worse; Lee got ill, and they were just trying to decide whether they could survive on boiled nettles when Bucke and Lynch turned up. All in all, a poor trip and they found no deposits either. But perhaps the hotel and Ainsworth store were providing him with an income. Dave dropped out of the news in 1895, but by 1896 he’s clearly got the mining bug, and is getting the family back home involved as well. In order to stake a mining claim, you had to register as a free miner, which cost $5 a year. There’s no record of Dave’s certificate, but weirdly he seems to have applied for them on behalf of his two brothers, Hampy and Donald, though what a stockbroker in Edinburgh and a serving British Army officer wanted with them isn’t recorded! 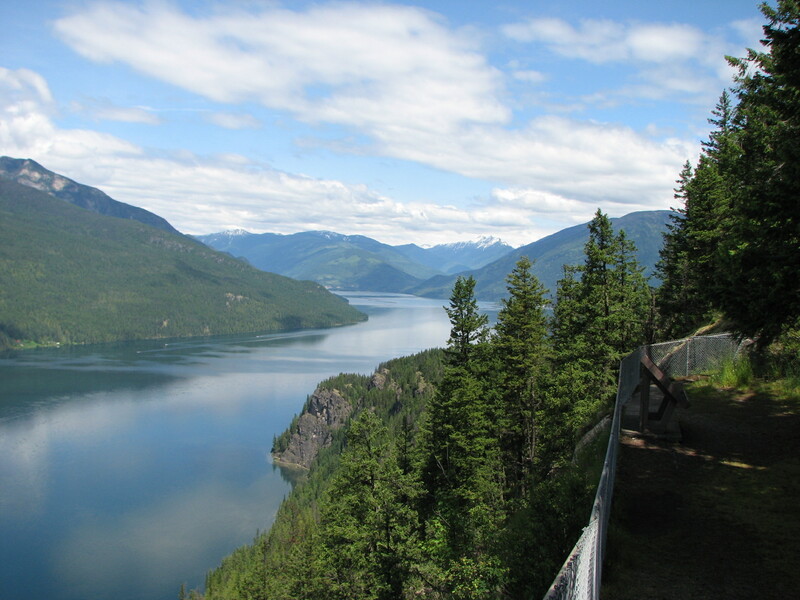 It’s just possible that it’s associated with a trip made by Hampy in May 1896 to British Columbia, specifically in order to check out the prospects for investment in mining. 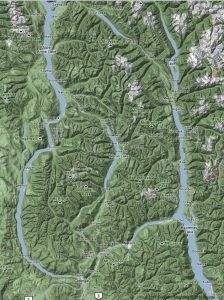 This information comes from a circular letter written by Hampy to investors, in support of investment by Scottish capitalists in mining activities in the Kootenays. In it, he states that he’s proposing to sail on the SS Majestic on 20 May. Dave took out bonds on at least seven mines, most of which were on the western shore of Arrow Lake between Silverton and Slocan. The most significant one appears to have been Wakefield Mine, in the hills above Silverton and close to the famous Sandon mining town. In November he’s reported as asking for government help to build a sleigh road from the Wakefield Mine to Silverton (a sleigh road enabled horses to drag mined ore using rawhide ‘carpets’). Dave went to Scotland from late Jan to early April – presumably to talk to investors about the exciting prospects. But it’s not until March 1897 that the West Kootenay (British Columbia) Exploring and Mining Company was incorporated in Edinburgh with 11 shareholders (Hampy being one) providing a total of £10,000 share capital and rights on 16 mines in Four Mile Creek, Dayton Basin, and Twelve Mile Creek (the same area as those on which Dave had taken out bonds); all the claims have picturesque names, but the ‘Blow Your Horn’ and ‘Jenny Lind’ stand out! The company built large office premises in Silverton, and Dave was identified as the Attorney, authorised to act on behalf of the company. It would appear that Dave and Hampy may have anticipated the formation of the company and made a personal investment in order to get the best claims. In March 1898, there’s a letter from Dave to the authorities in Victoria stating that Henry Forrester had resigned as secretary of the company and that a new director had joined the company. But at the same time the company was wound up, and the assets transferred to The Wakefield Mines Ltd, which was incorporated at the same time with £100,000 capital. However, The Wakefield Mines Ltd appears in the Victoria Daily Colonist as early as May 1897, when Hampy is reported as coming out from the UK representing ‘a Scottish syndicate’ to look over the management of The Wakefield Mines Ltd. This seems to have been a watershed year for Dave. He was 34 and had so far been a Royal Navy Officer, a homesteader, a store and hotel owner, a shipbuilder a prospector and a mine manager. 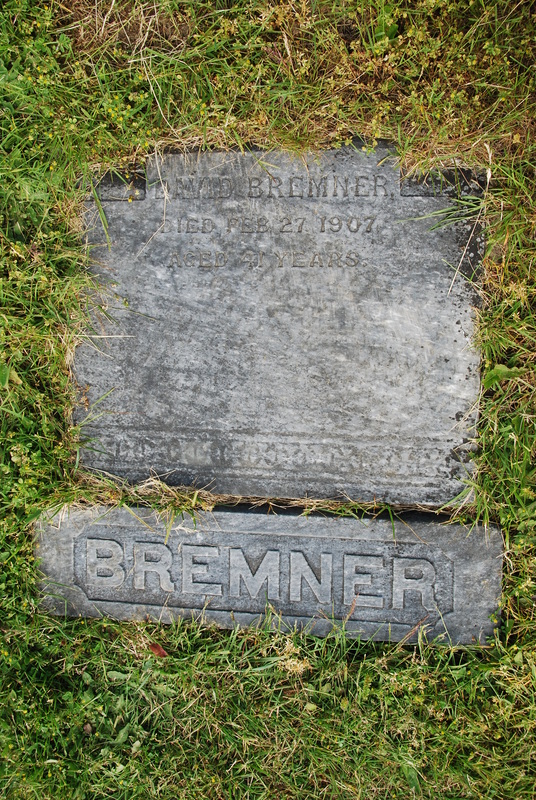 He was clearly a restless soul, and while in 1898 he was listed as a free miner in Silverton, in 1899 there was a seismic shift in his life. The 1899 directory lists The Wakefield Mine as delivering 20 tons of ore for processing, with Dave as General Manager. But in fact by January 1899 he’d already resigned and in February he’d been replaced as attorney. But by the end of 1899, the Wakefield Mines Ltd had ceased trading, and was presumably wound up some time after. But it clearly didn’t work out. Dave returned to Scotland during the winter of 1899/1900 and came back to Silverton in July, although he no longer had any managerial rôle there. The Watson Hotel was only ten miles up the road, and perhaps he returned there. But by 1901 the census shows him at the mining camp in Rossland (about 100 miles or so south of Kaslo and Silverton), and in 1903 a directory lists him at Armstrong in the Okanagan. Mines rarely kept any record of employees, and we can only guess that things had turned sour, and he was moving around the mining district getting work wherever he could. It’s clear from his Naval record that he didn’t take to authority well, and having once been a general manager of his own company, one imagines he didn’t last in any particular job for long. By 1906, he’d clearly developed a drink problem, and had moved to Vancouver, where he spent at least six months of it in hospital. In February 1907, he was removed from the Queens Hotel, where he was staying with friends and proving disruptive and violent to the Burrard Sanitorium, where he again proved too disruptive and was continually removing all his clothes, which he found uncomfortable. He was transferred to the local police station, where they knew him reasonably well, and a couple of days later he died in the padded cell. He was only 42. 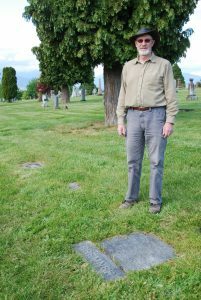 His gravestone is in the Mountain View cemetery which looks out onto the Rocky Mountains, and Vancouver Island in the far distance. It’s a peaceful spot, and scrupulously maintained. Poor David. He’d inherited his father’s appetite for entrepreneurship, but not his talent. He seems to have been a lonely soul, despite the love of his family. One can’t help noticing that his Naval record was unblemished until the deaths of his father and sister in 1885. Although the newspaper account of his court-martial and his predilection for high-adrenaline activities don’t generate much sympathy for him, you can’t help wondering if he’d been affected more deeply than anyone realised. Let’s hope he found some peace at last.